The Casual Lounger: All hail the American hero! 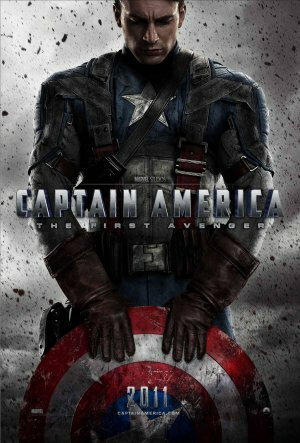 I've finally watched Captain America: The First Avenger! The story revolves around World War II where this man called Steve Rogers is not your average Joe. He's a real patriot who vows to serve his country by volunteering to join the army. Unfortunately, his scrawny appearance & poor health conditions deemed him unfit to be part of the American troops. He went for several tryouts & even to the extend of disguising himself in another identity with a glimpse of hope that he'll be given the green light. By the 4th round, his false identity was discovered & nearly got him into trouble when the scientist, Dr Erskine who overheard his eagerness to help in the war, decided to allow him to enlist. Steve was selected to be part of the "super-soldier" experiment under Erskine, Colonel Chester Phillips & British agent Peggy Carter. After being injected with a special serum & dosed with "vita-rays", Steve emerged from the experiment looking tall & muscular. To cut the story short, he wasn't immediately assigned to war but was instead asked to promote war bond & attract men to enlist. His heroic actions only start to materialise when he learned that his best buddy, Barnes' unit lost in the battle. It's not your typical action hero movie as the mood of the movie dates back to America during World War II. as expected, certain scenes may turn out too cheesy for the new generations like us but this is how the movie was intentionally filmed. Some scenes were exaggerated & unrealistic cuz you wouldn't expect a superhero to do extraordinary things. After all, he's still human but with amazing strength & speed. Not to forget that this movie is one of the Marvel franchise which builds up to the highly anticipated The Avengers which is scheduled for release in summer 2012. The sneak peak of the movie after the end credits looks promising. Let's hope it doesn't disappoint.